a secular worldview based on our common humanity. We engage in a variety of regular activities which are free and open to the public. We welcome guests, so if you're curious come to one of our events! Being good: Humanists are concerned about the 'good life' - a life of integrity, using the concepts ethics and compassion. They seek personal happiness and fulfillment as well as the welfare of humankind, and the protection of the natural environment including biodiversity and ecosystems. Without God: Humanists typically describe themselves as skeptics, agnostics, or non-theists . To find answers to problems, they look to reason and science rather than religious creeds or sacred texts. Our Sunday Talks are held every two weeks from September through to May. 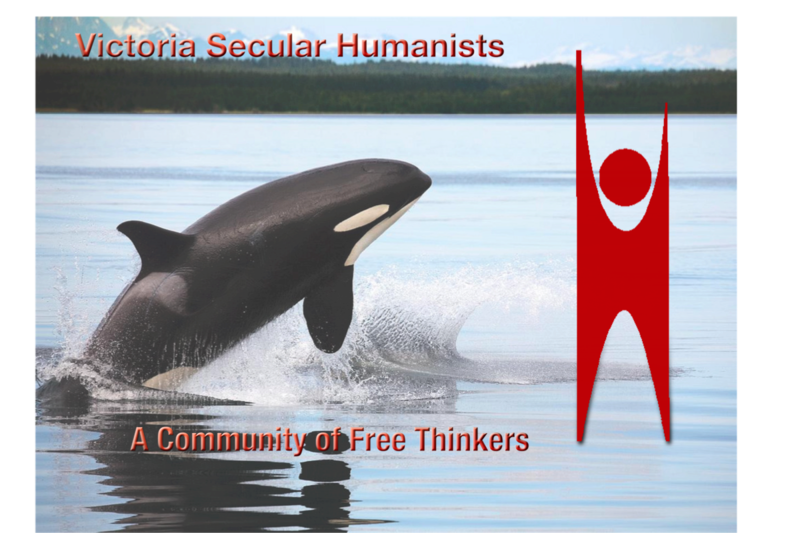 Guest speakers provide their insights into a number of different topics of interest to secular humanists followed by a question and answers session. Our Humanist Cafés are held on the first and third Wednesday of every month. Specific topics of current interest are introduced by a guest speaker followed by a moderated discussion. All these events are listed on the VSHA website, and specific email notices are sent to all persons on our contacts list. Also look for notices via the Victoria Meetups app. An affiliated event, Philosophy Salon, is held on the second and fourth Wednesdays of the month at 7 PM at the upstairs of the BENT MAST, 512 Simcoe St. in James Bay to discuss topics of philosophical interest. Look for it in Victoria “Meetups” as well for topics and location. The VSHA Sunday Talks are held every two weeks from September through the end of May. Please see the Sunday talks schedule for additional dates for an extended season of enriching presentations. at the James Bay New Horizons Center. 234 Menzies St. Contact Us at Communications VSHA for any general inquiries about the VSHA or if you would like to receive email notifications of upcoming events. Please provide your name and email adress to receive these notifications. If you want to become a member, please go to our membership page for information. VSHA membership functions are open, but after three visits, we would appreciate your taking out a paid membership. Your membership $ allow the VSHA to continue its role as a reason based Educational association. Membership is annual and payable by cheque or money order for the appropriate amount. Or you can pay your membership to a member of the Executive at any of our VSHA Events. Donations to the VSHA allow the organization to expand its reach and fund specail projects that are of importance to VSHA members and Secular Humanism in general. Donations are greatfully accepted and eligible for charity tax receipts for amounts greater than $10.